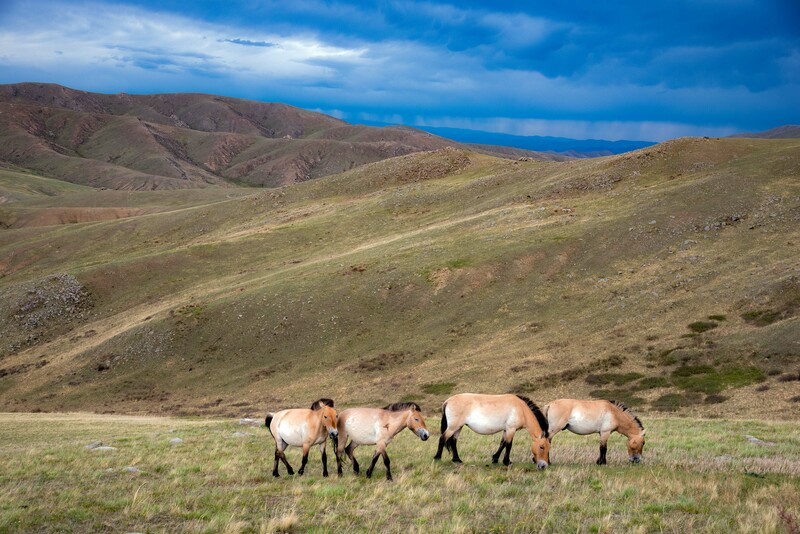 Wild Horses, 2014 Mongolia, Tov Province (Aimag) There are only about 300 wild horses remaining in the world, and they are all just outside of Ulan Bator, the capital of Mongolia. To get this shot, I had to stalk the horses for hours. Finally, they became used to me. It seemed that they thought I was one of them.